Whew! Did you think I was never coming back?! It’s been so long since I have posted. Between moving, building our house, and summer – our days have been pretty full, as I’m yours have too, but life is good. Also, did you notice the site is a little different? Tony from Evanpar Solutions did a great job redesigning and making some changes, along with cleaning up FPC. I love how it turned out and hope it’s a little more user friendly! 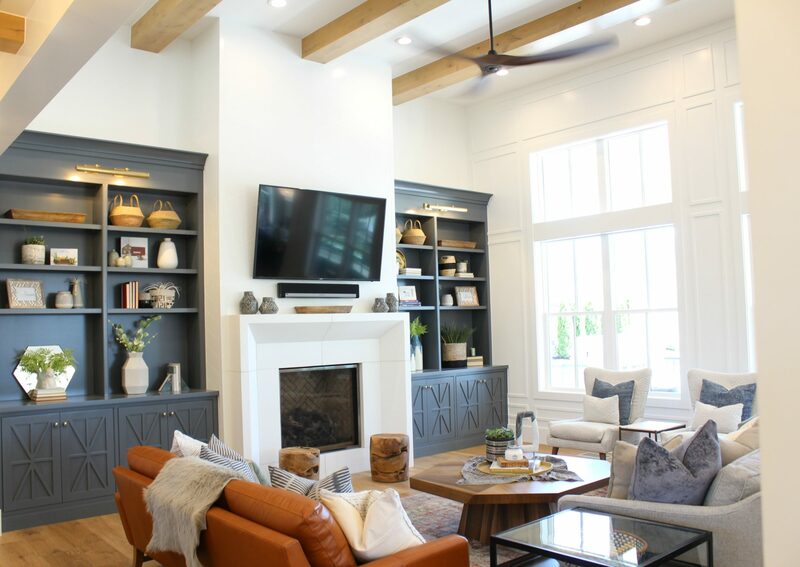 A few weeks ago I traveled down to Utah with my Mom to visit some family and we were able to tour the Utah Valley Parade of Homes, one of my favorite summer traditions. We ate some amazing food, enjoyed beautiful weather, shared lots of opinions on the homes we toured (good and bad – some were pretty crazy, but so many pretty ones too), and then went to the most amazing house, the LDS temple in Provo, that reminded me that these homes are beautiful and amazing, but what really matters is the people that are in them. It was a great week. 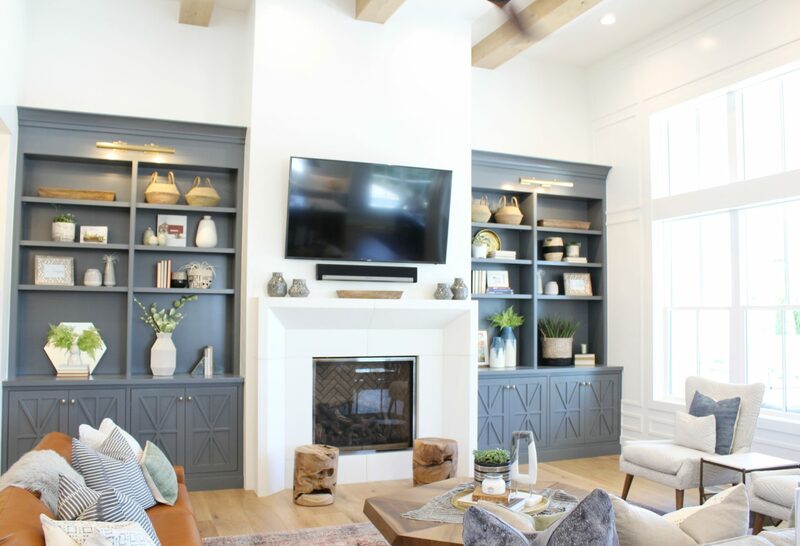 Aren’t these blue built-ins so pretty? I love the color and the way they were styled. Simple and beautiful. Another shot of the great room. I loved this subway tile with the quartz. These lockers in the mudroom were such a great color. I loved the shiplap, lighting and woodwork all together. Pretty wallpaper in the powder bathroom. These pantry shelves were to die for. Dark blue shiplap coming up the stairs. Pretty girls room. The room was painted white with pink, gold and navy accents. Super cute. Guest bedroom with reclaimed wood on the walls. Love. 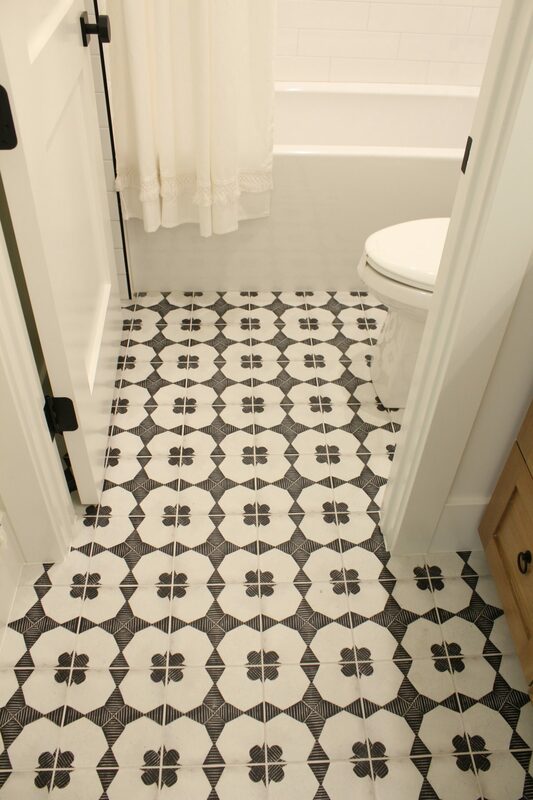 I loved this color of flooring. Beautiful black cabinets again with gold handles. And this super fun bunk room! I hope you enjoyed the tour…here are the paint colors below along with a color whole house color palette. If you have any questions let me know! See more home tours and paint color palettes. Have a beautiful day!